CoordKnit believes that knitting is a life-enhancing skill. 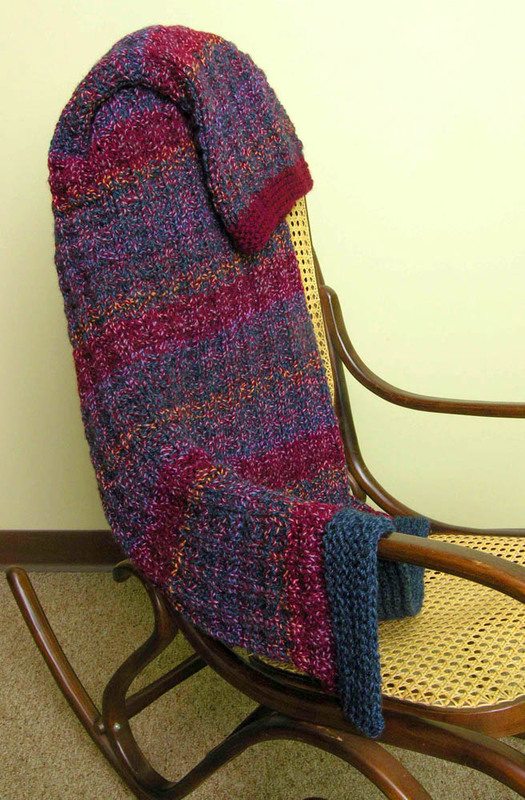 For those undergoing medical treatments such as chemotherapy, knitting has an affect much like meditation and yoga, helping patients lose themselves in the flow of creativity and easing their stress. 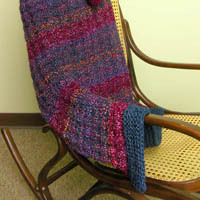 It also empowers those who knit for charity, instilling a sense of pride, community and purpose. It is a pleasurable, satisfying, and healing skill that blends yarn, spirit and community. 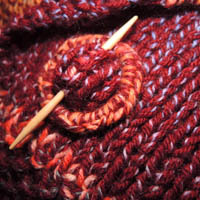 A knitting coach will be available on-site to instruct beginners and offer assistance to experienced knitters. The CoordKnit kits will be available for purchase by the staff and public to support the project. The CoordKnit staff can work with any organization or center to help you set up this program. 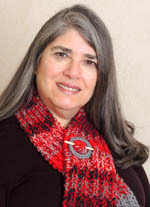 Please contact Reenie Feingold should you want a CoordKnit program at your location. 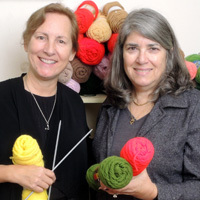 The CoordKnit™ staff can assist any organization or center to help set up a knitting program. 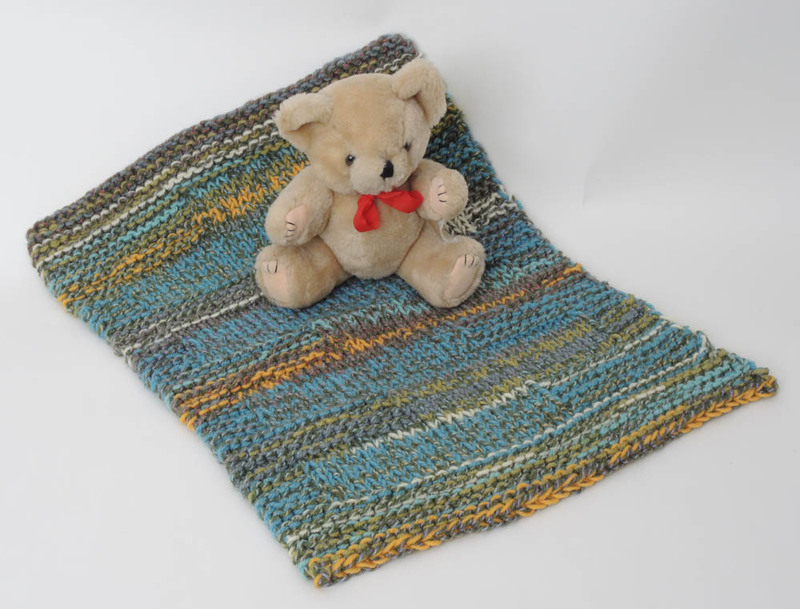 We can suggest knitting projects and instructions that can be downloaded from our website. We serve as a yarn bank for the community and welcome donations of yarn and knitting materials for redistribution among charity knitting programs. 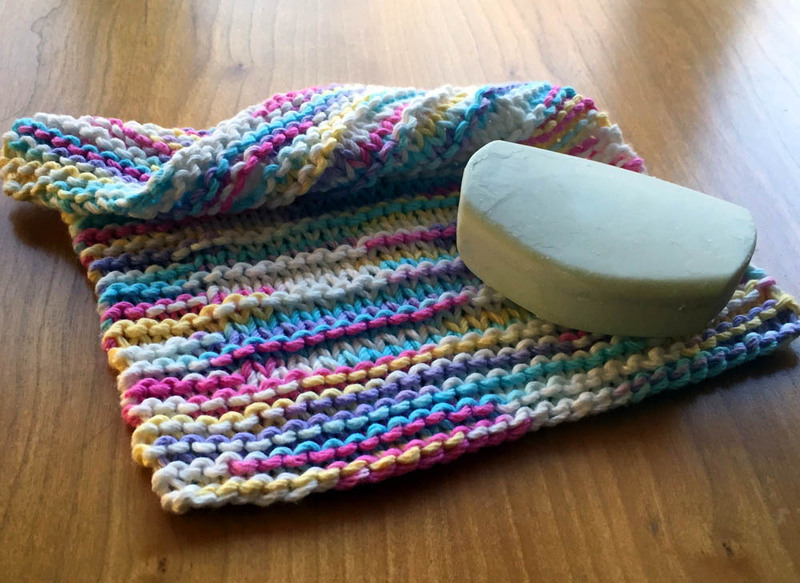 Please contact Reenie Feingold to make donations of yarn or knitting needles, if you wish guidance in creating a CoordKnit™ program at your location, or if you are interested in becoming a become CoordKnit™ designer or would like to make samples for CoordKnit™ sites. Food banks help nourish those in need. But Reenie Feingold of Rochester has decided to nourish folks in another way. 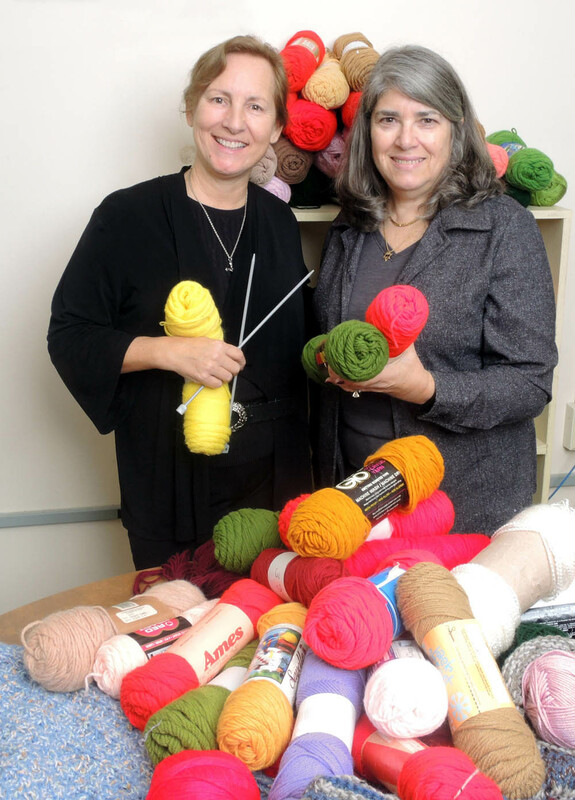 Feingold has announced that her knitting charity, CoordKnit™, will become a knitting bank to help others in the community receive the healing and transformative power of knitting. I founded CoordKnit™ as a response to my own challenges in 2010, while undergoing breast cancer surgery and radiation treatment. As a business developer and art director for over 40 years, I discovered that designing and creating knitted projects during that time brought me much needed stress-reducing relaxation, and I decided to find a way to share the benefits I derived with others in similar situations. My original intent was to help cancer patients at Lipson Cancer Center by providing knitting supplies, patterns and lessons to help alleviate and distract them during hours of chemotherapy and other treatments. 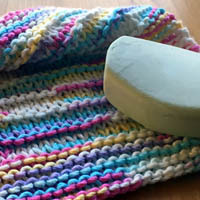 But, as I have become more involved with the CoordKnit™ program, I have made new community connections and discovered even wider applications for our organization. 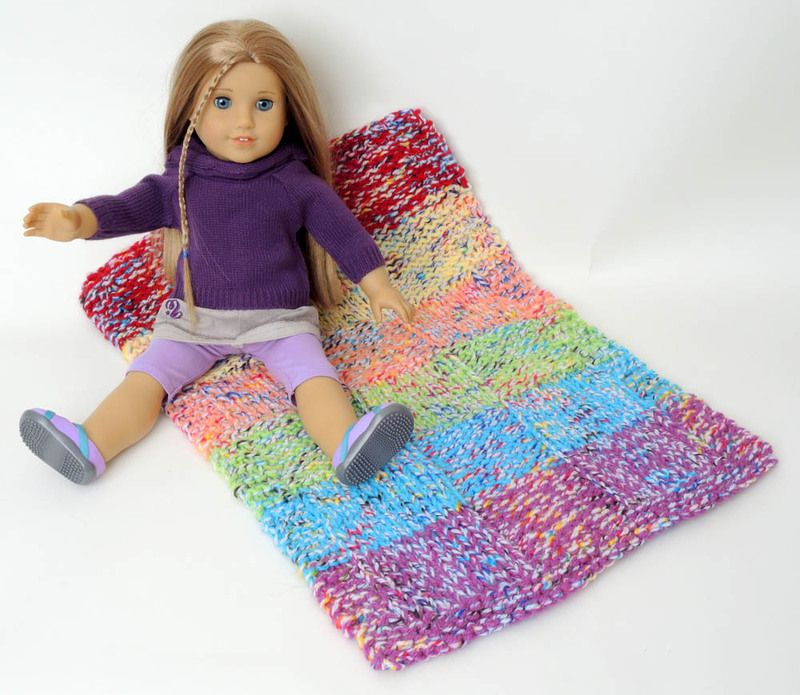 There are many knitting charity groups in town that derive great satisfaction and pride when providing warm hand-knitted goods to those in need. Almost every knitter, at some point, discovers they have extra stashes of yarn that sit unused. Meanwhile, still others seek donations of additional skeins and knitting supplies to continue their good works. 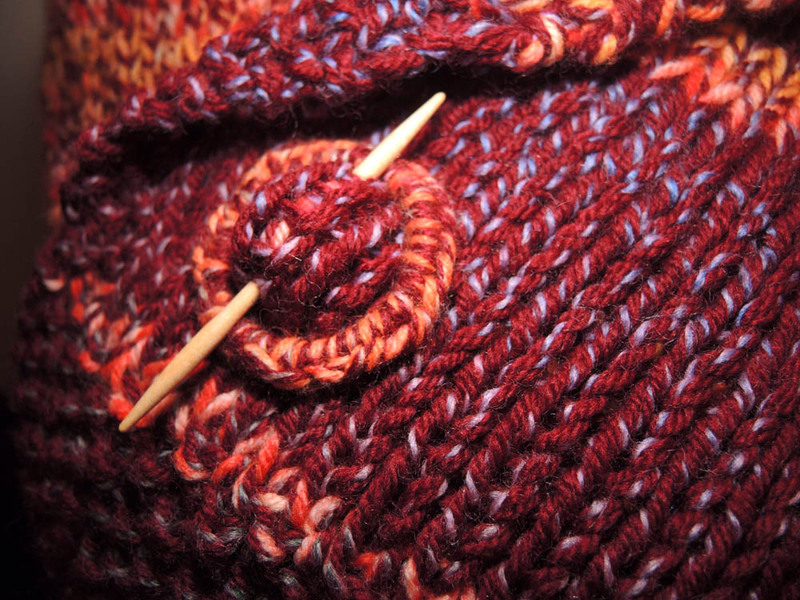 CoordKnit began to linking such groups together by facilitating yarn exchanges. 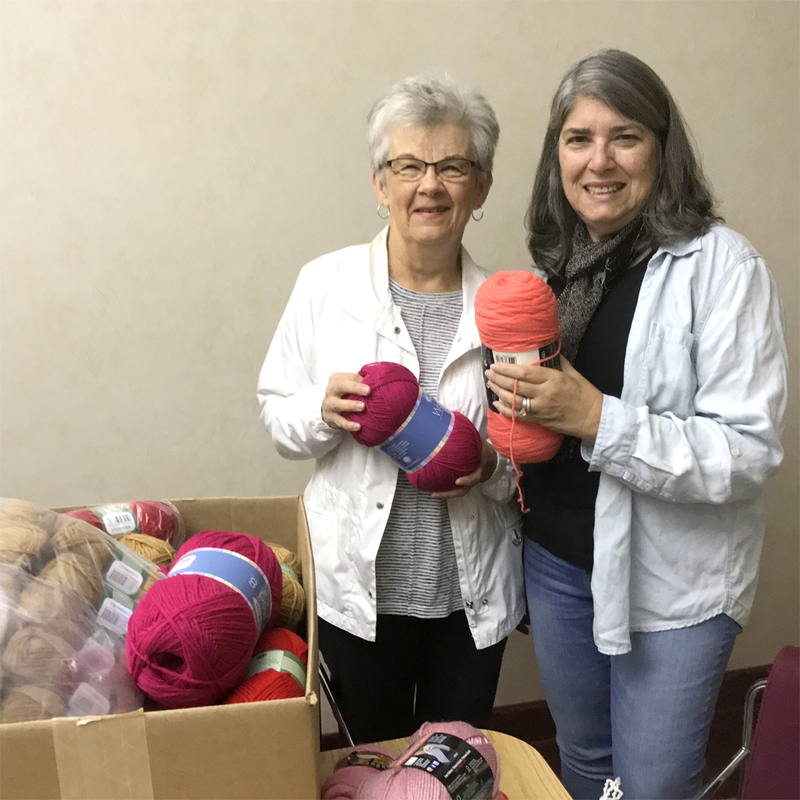 We have now become what could be called a “knitting bank,” receiving donations of skeins and balls of yarn and redistributing them to groups who can put it to good use. 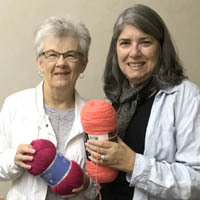 I am hoping CoordKnit’s continuing efforts in both medical and charitable settings will serve as a model for other communities and help spread the therapeutic benefits of knitting to ever-wider circles.